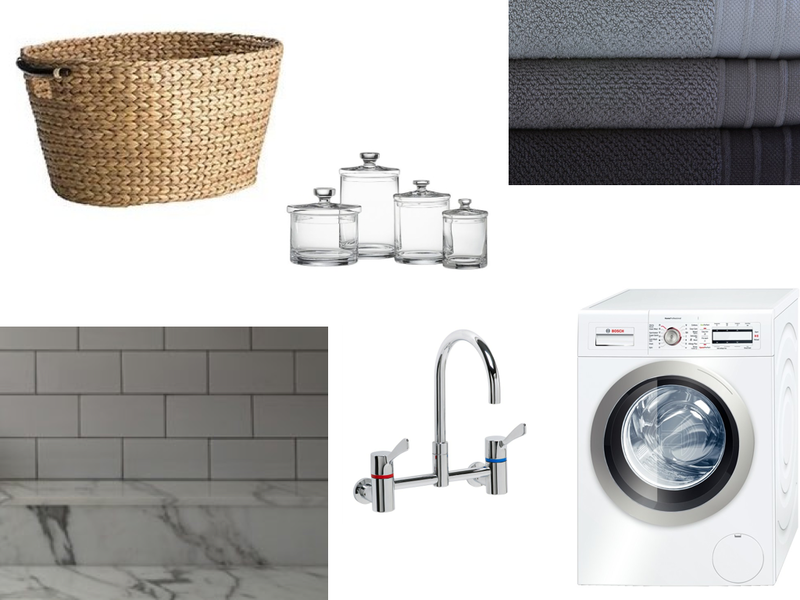 You could only imagine how much washing a family of six can generate, so not only do I need my laundry to be functional and handle the demands of a large family, I want it to look stylish as well. 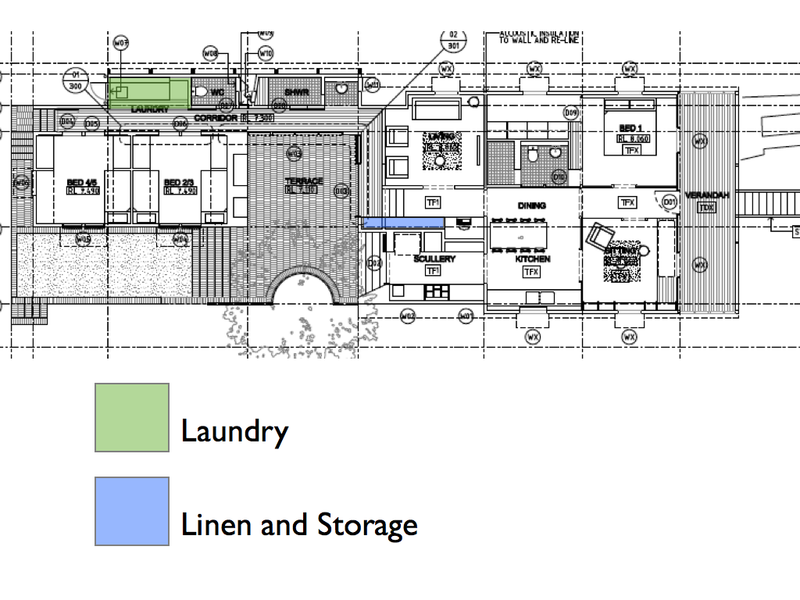 Our laundry will be located at the end of the "service" corridor near the childrens' bedrooms and has easy access to the yard/clothesline via a rear staircase. To keep the laundry tidy and also save me time sorting through a HUGE pile of dirties, I requested for several built-in laundry hampers; one each for whites, darks and delicates. Our current laundry is very badly designed. All the doors seem to swing the wrong way and being such a small room makes it really awkward to work in. There is barely enough room for a laundry hamper so when I'm sorting out the dirty washing, the clothes end up in big piles on the floor as there is nowhere else to put them. I'm hoping it's location near the kids' bedrooms and bathroom will mean that the children will put their dirty clothes and towels in the hampers rather than on the floor. 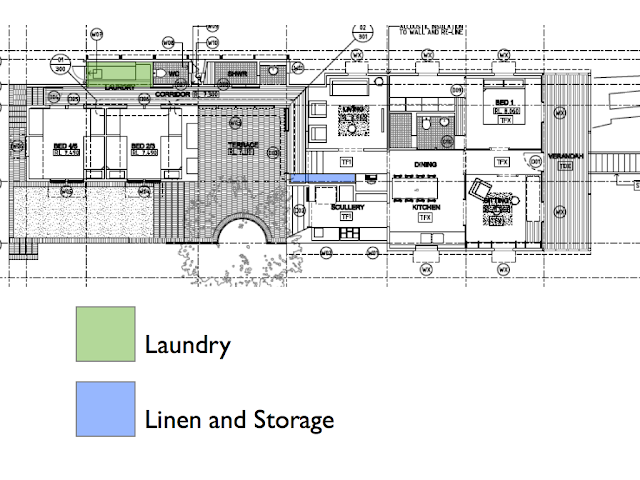 The laundry will have the same aesthetics as the kitchen (as I like to keep things consistent). 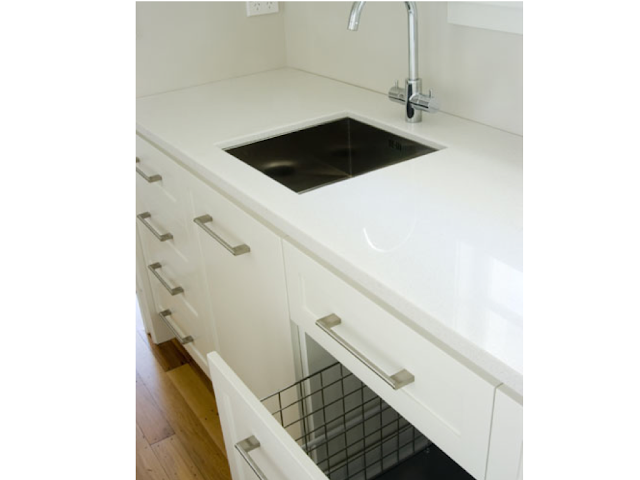 So that means white cabinetry, marble benchtops + shelf, cut out handles and my favourite subway tiles. 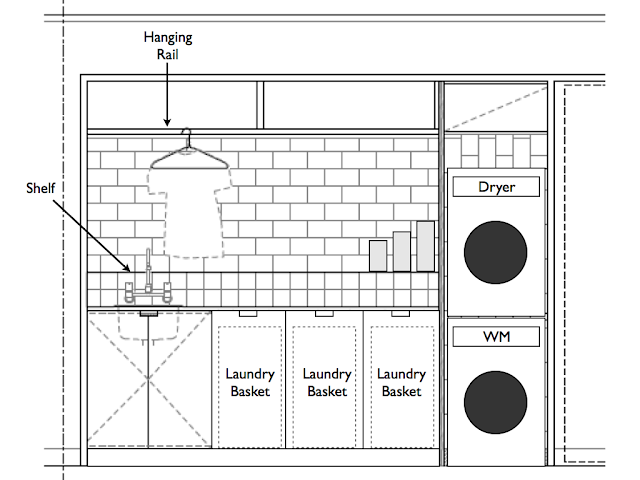 There are also plans for a hanging rail for delicates that need to dry away from direct sunlight, or it could also be used to hang clothes to dry on those rainy days. I was going to suggest that it could also be used to hang clothes onto as they are ironed, but that is was my little secret - I don't iron! A casement window next to the tub will allow plenty of light and ventilation into the space and if the neighbours over the back fence trimmed up their hedge, I'd probably get a glimpse of the river too! 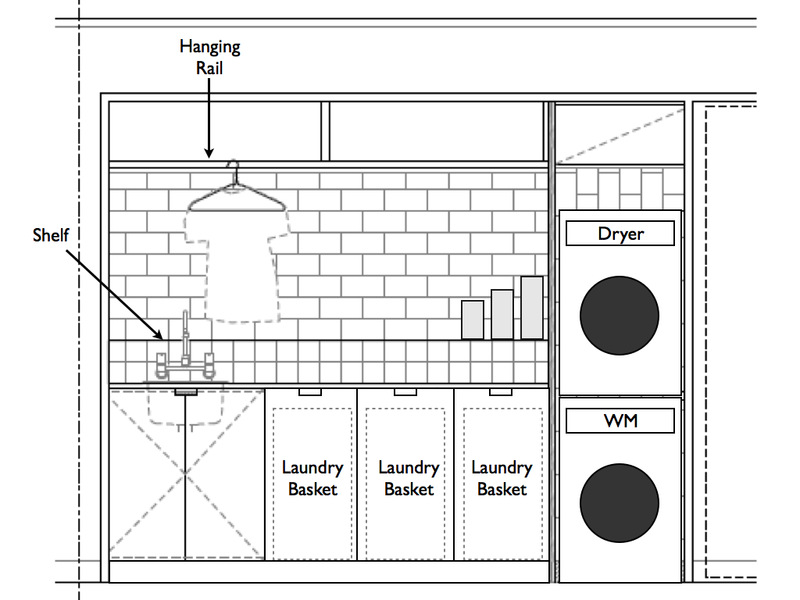 The built in laundry hampers are a great idea, and love that it will match the kitchen design. If you figure out how to get males to actually put laundry in hampers, and not on the floor or ON TOP of the hamper, please let me know. And I don't iron either. I always think if you hang things out properly and then fold things promptly no ironing is necessary!